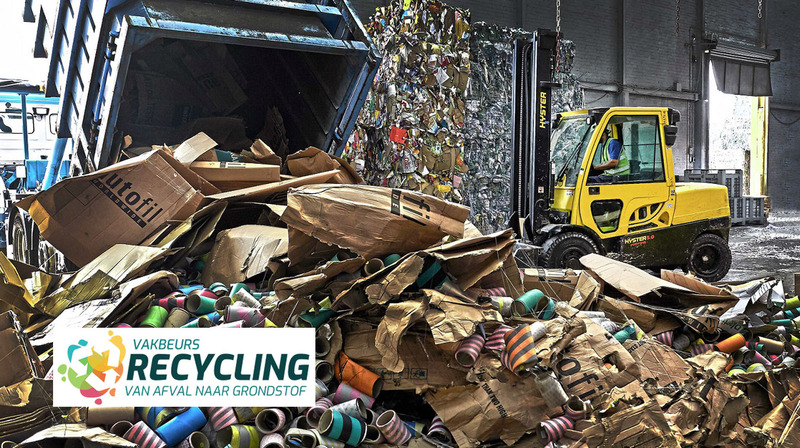 Tough Hyster® trucks to support materials handling in recycling applications will be showcased at ‘Recycling 2018’, an exhibition taking place at Evenementenhal Gorinchem, the Netherlands from 20 – 22 November 2018. Local Hyster® dealer Heffiq will exhibit at stand H101 in the transport zone, giving visitors the chance to find out more about 360-degree Hyster® solutions for the recycling supply chain. The stand will feature Hyster® IC lift trucks and Hyster® electric forklifts as well as attachments for recycling operations. 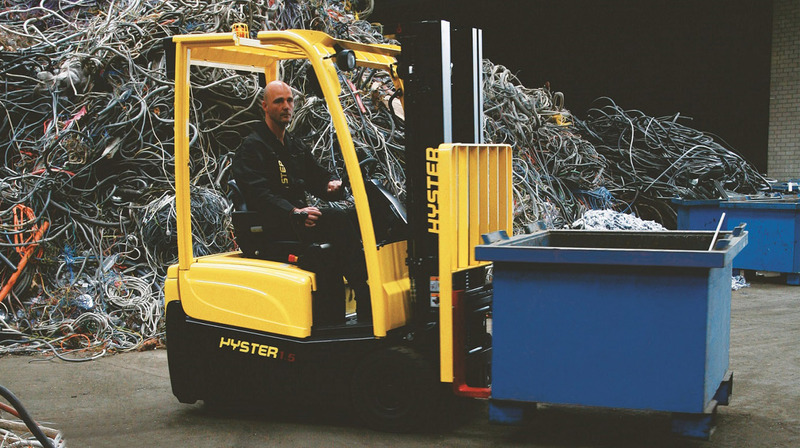 Hyster Europe offers a broad range of products and specially engineered solutions to overcome the handling challenges of diverse waste management and recycling operations. Hyster® products help to meet the specific requirements of recycling applications handling paper, wood, metals and chemical waste, supporting efficiency and reducing downtime. The Recycling 2018 event takes place annually and welcomes more than 5,000 visitors from the recycling industry for the exhibition, seminars and network opportunities. The show will cover innovations and products for waste and recycling collection, transport, sorting, storage and processing. Visit www.hyster.eu for more information on Hyster® solutions for the recycling industry and waste management operations. This entry was posted in ATEX Compliance, Attachments, Big Trucks, Counter Balance, Electric, Electrics, Events, Hyster, Hyster Europe, Intensive Applications, Recycling, Solution, Steel Handling, Telemetry, Waste Management and tagged 2018, EMEA, Evenementenhal Gorinchem, Forklift, Hyster, Hyster Europe, Lift Trucks, NL, Recycling. Bookmark the permalink.